**This article is for users with System Administrator profiles or a profile with Customize Application permissions. In order to set up the integration with Buildout, follow the steps below. Obtain your API Keys from Buildout Support. Enable the integration in Apto Settings. Add the Publish link to the Listing page. 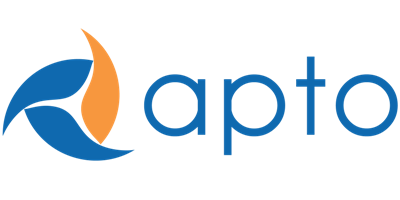 If you do not have Buildout API keys, please contact the Buildout Support Team and mention the Apto-Buildout integration. The Buildout Support Team will explain the process for initiating the integration from Buildout. Click the App Launcher located in the top left corner of your screen next to your “Home” tab. Select the Settings tab which is listed in alphabetical order in the All Items list. Under the INTEGRATIONS section on the left-hand side panel, click “Buildout Settings”. In the API Keys section, click the Edit button. Enter the API Keys provided to you from Buildout. The keys are marked public when the public checkbox is checked. When should I mark keys public? When the entire org shares the keys. When there are no privacy settings. When should I set keys to private? Each broker has their own personal instance of Buildout. If you have never enabled another publishing integration, you may need to add the Publish button to your listing pages. Open a Seller Representation listing in your Apto org. Click the Setup icon in the top right corner of your screen. Select Edit Object. On the left menu panel, click on Page Layouts (3rd option down). Select the Listings Layout Page Layout from the list of available layouts. Scroll to the Salesforce1 & Lightning Actions option in the top panel. You should see an available Publish button. Drag and drop that button into the Salesforce1 and Lightning Experience Actions panel. In order to enter in additional data surrounding lease/sale information (such as a sale description or sales/lease advertising language), you will need to add a few fields to the property page layouts that will be syncing with Buildout. We have 11 out of the box property types. To add the fields Lease Title, Lease Description, Lease Bullets, Auction, Sale Title, Sale Description, Sale Bullets and YouTube URL to these property records, please follow the steps below. Navigate to Properties and select a property record (any will work). Then click the setup icon on the top right corner of the page. Select Edit Object. Click on Page Layouts (located on the left side panel of your screen). For further help on configuring page layouts, see here. Select the Page Layout you wish to add these fields to. Drag and drop these fields from the list of available fields (top of the page in a blue box) into an area of your choice on the property page layout. Click Save (located at the top left corner of the page). Repeat the process (steps 1-6) for any other additional property types in Apto that you want to add these fields to. These newly-added fields are now ready to accept your data and be transferred in the sync process between Apto and Buildout… YAY!